We’ll make it easy for you to get the nutritious meals you need. Have a current diagnosis of a life-threatening illness such as cancer, HIV/AIDS, end stage renal disease, congestive heart failure, multiple sclerosis, or another such illness AND documented difficulty preparing or accessing healthy meals due to your illness treatment, side effects, or another disability. Live in the metro Denver area or Colorado Springs. If you live outside of these boundaries, you can make alternate delivery arrangements such as picking up your meals at Project Angel Heart or setting up delivery to a friend or family member who lives within the boundaries. We do not qualify people based on age or income. 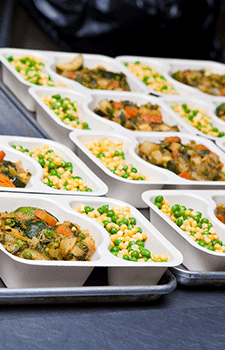 At times, there is a waitlist to begin receiving meals. Click here to learn more. Click here to download the application. Once your application is complete, please fax it (if possible) to our confidential line at 303.865.7002. 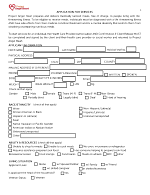 Most health care providers will fax the form to Project Angel Heart for you. Incomplete forms may delay services. After we receive your completed application, a member of our Client Services team will contact your referrer to confirm receipt of the form, eligibility, and estimated wait time for services to begin. Unable to download the form at the link above? Click here to give us your email address or mailing address, and we’ll send you a copy. If you have questions about how to get started, please contact our Client Services team at 303.830.0202, 800.381.5612, or refer@projectangelheart.org.